Used H.N. 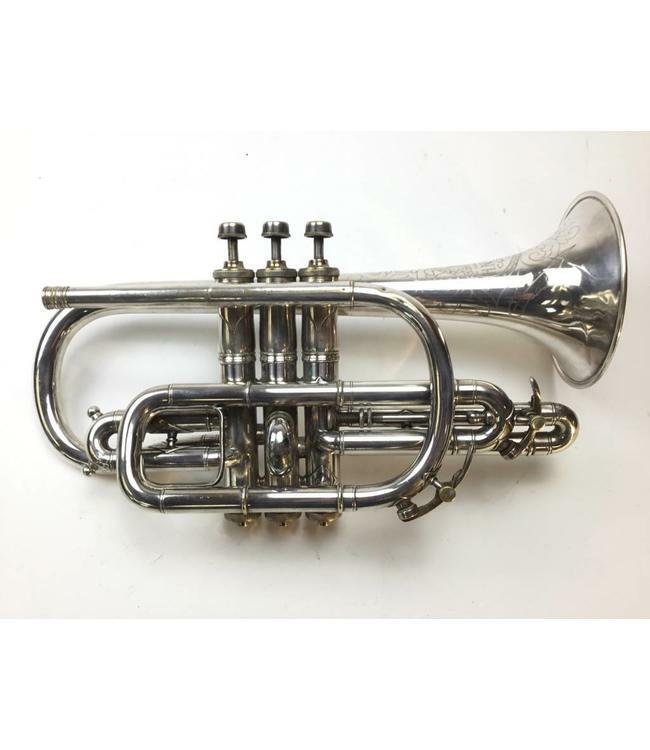 King Bb Cornet in silver plate. Instrument is in good condition for age with surface scratches, evidence of leadpipe repair and minor dings. No case.